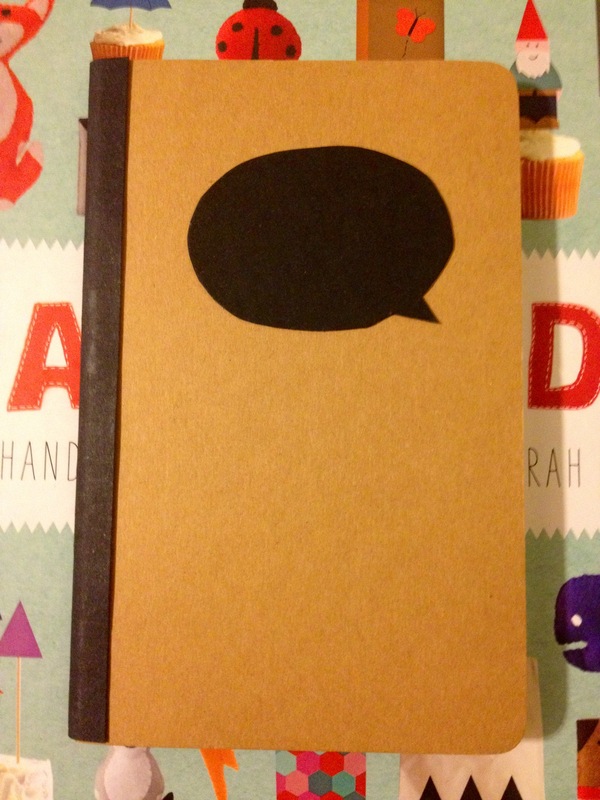 Today’s craft activity involved decorating a note book with a speech bubble. 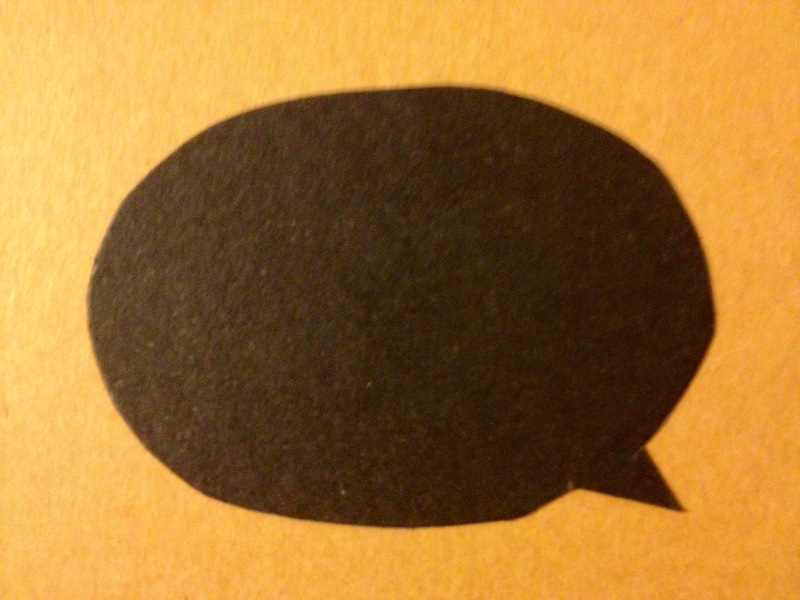 I was meant to paint the speech bubble on with chalkboard paint – but I’m actually having a lot of difficulty finding the right paint. So I cut the shape out of card instead! And stuck it on a small moleskin notebook. What would you write in it? Comment below for your chance to win. 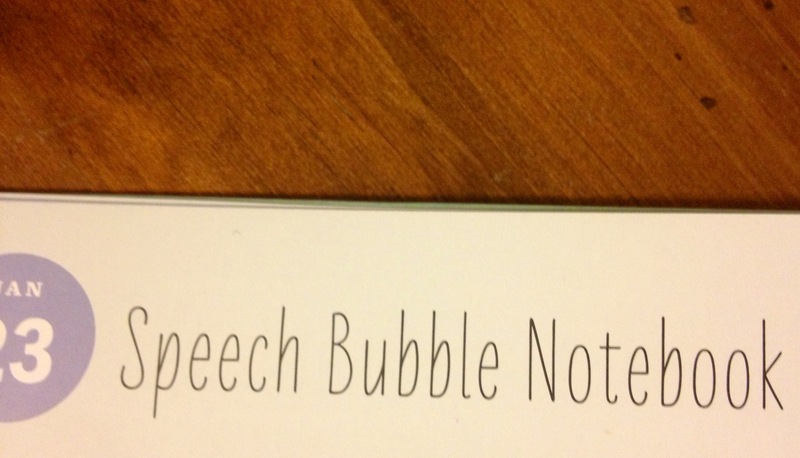 I’d write speeches about bubbles. Great work love! This is an amazing thing your doing. Am enjoying checking your blog each day :-). And to answer your question I’d write about everything I’m grateful for and sayings and thoughts that make me happy. Can’t wait to see what tomorrows activity will be.